Two friends hit some golf balls at the driving range. 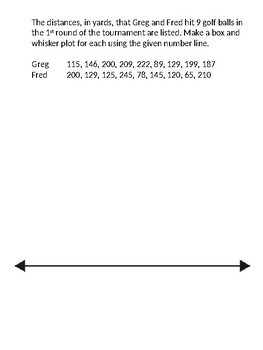 They recorded the distances and you will make a double box and whisker plot with those distances. Good for a formative assessment to start or end class. Great for the week of the Masters.